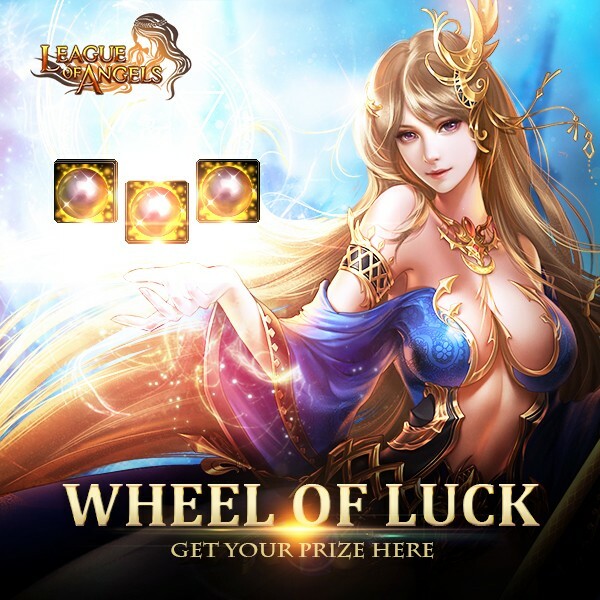 Spin the wheel of Luck to win Bless Stone,Lv.9 Valuable Gem Chest, lvl.11 valuable gem chest, Soul Stone, Basic Energy Card(10) and etc! 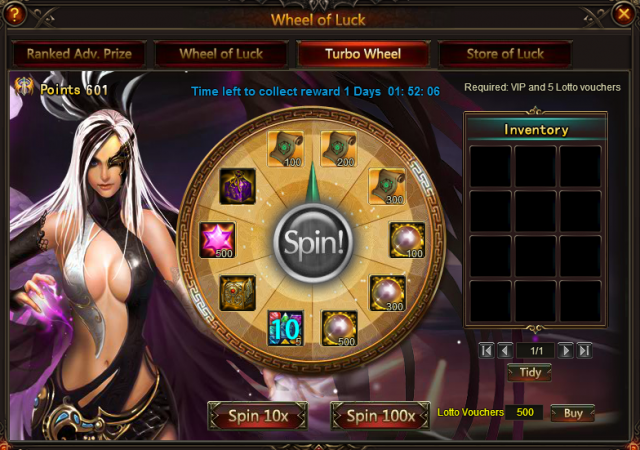 Description: Log in every day to win Daric and Jackpot Lotto Vouchers! 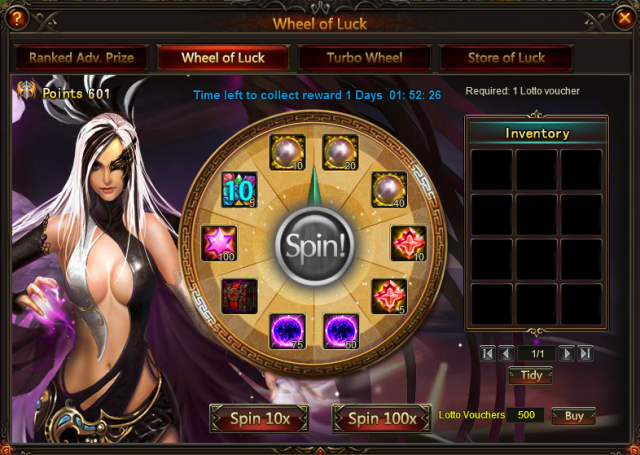 More exciting events are coming up through Sep 7 to Sep 10 (Server Time), check them out in the in-game Hot Events menu now!